United Trading is a binary options signals software that has been available since February 20th 2017. 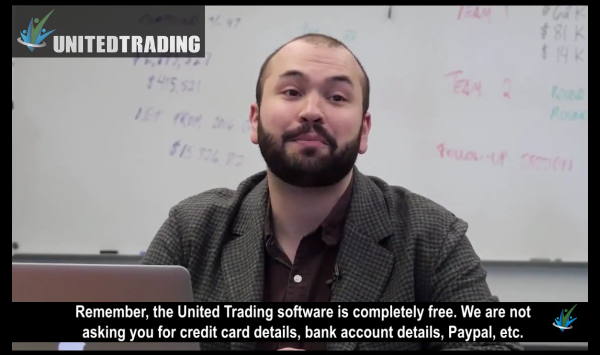 The United Trading Network software includes; binary option signals and social trading. We have reviewed over 150 binary option trading systems, and this one is very much like the one called Tratika. When you open your account at United Trading, you are automatically given an account at a binary options broker. Sadly, when we tried the software from Italy, they assigned us to a scam binary options broker. What makes United Trading unique is that they have something for everyone. If you are looking for social trading, they have it. If you are looking for automated trading robots, they have that too, and if you want just signals, they provide that. The system has multiple options for you to configure, and this is the reason many people like it. When using trading signals, the decision is in your hands whether or not you want to place a trade, and if you think the signals are good and accurate. Most of binary option signals software you encounter online are scams, because they advertise 100% accuracy. We have seen real scams like Orion Code, claim to guarantee your success. Social Trading: The way social trading works, is that you are officially receiving trade ideas based on the number of votes the community gives. Sometimes the crown is correct, and other times they are wrong. SwipeStox is the most popular social trading app today. 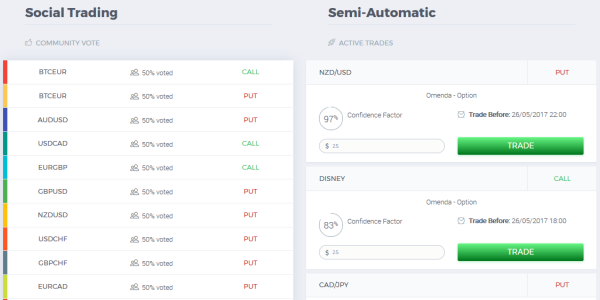 Semi-Automatic Trading: The system generates exclusive trading signals, alerting you of upcoming market trends, which are suppose to have a low risk, and high return. 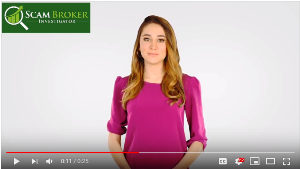 United Trading is connected with a variety of binary options brokers, and they are constantly adding and changing the brokers they work with. When we signed up for the software they assigned us an offshore broker that is called Omenda. Since they are unregulated, we instead went with a top rated broker that has an auto trading software, see here. Complaints about trading binary options always come from people who used a scam brokers. The easiest way to avoid problems withdrawing your money from a scam broker, is to only trade at a licensed and regulated in your country!